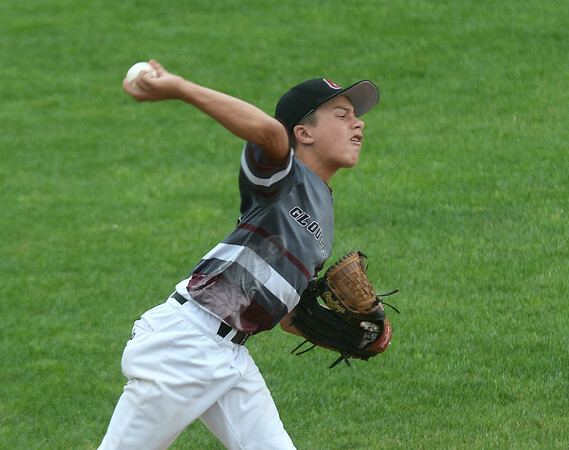 Gloucester defeated Reading 5-4 in the Little League Williamsport, Section Four baseball game in Lynn. CARL RUSSO/Staff photo. Gloucester's Emerson Marshall makes the hard throw to first base for the out. Gloucester defeated Reading 5-4 in the Little League Williamsport, Section Four baseball game in Lynn. 7/20/2017.